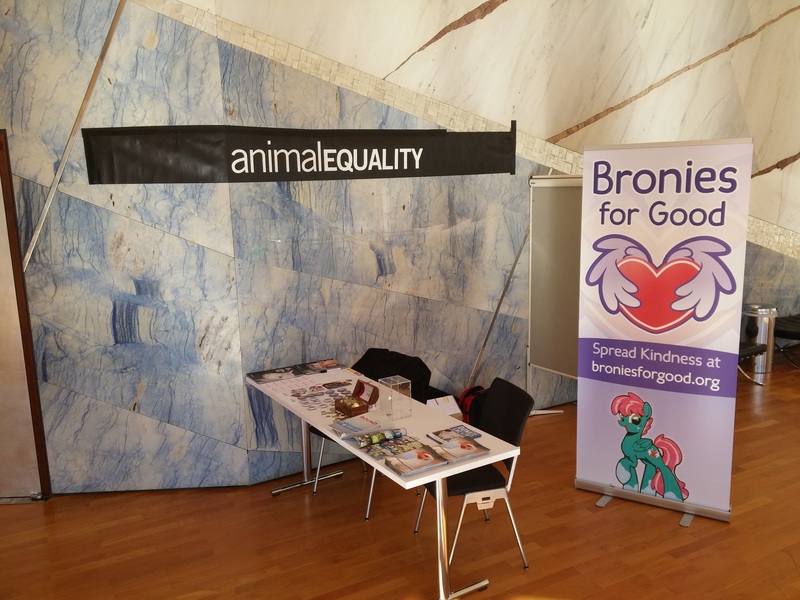 The fundraising season of 2016 started with Brony Fair in April. Brony Fair did not dedicate its auction to our charity but provided us with a comped table for our fundraising and EA outreach. We raised €944.50 and €404.90, respectively, on the two days of the convention. Pony Congress 2016 took place in Elbląg, Poland. The organizers were very welcoming and helpful, and even provided me with a comped room for the stay. But the convention suffered from an unexpectedly low turnout, and generally wages are very low in Poland, so that our fundraising amounted to around €530 (zł 2,353.84), the total of both days and the auction. GalaCon 2016 made up for it by generating the greatest fundraising success in our history of convention partnerships.